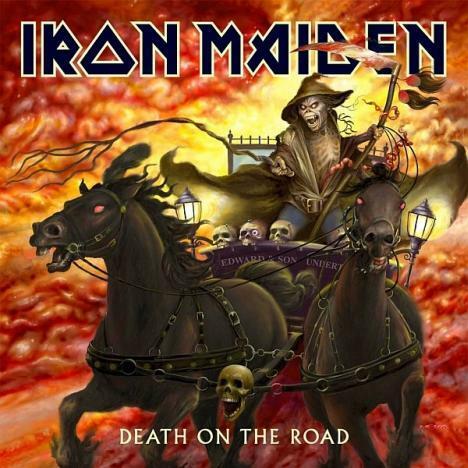 IRON MAIDEN have now confirmed the release date of their much anticipated DVD release DEATH ON THE ROAD for 6th February 2006 through EMI Records. This will initially be available as a limited edition special digipack. The DVD package contains the full performance of their ‘Dance of Death Tour’ in December 2003. Filmed at the Westenfalenhalle Arena, Dortmund the show has been personally edited by founder band member Steve Harris, to fully capture the magnificent stage production and to cut right to the heart and the electricity of the bands’ performance. Over a four month period Steve made thousands of edits, thus ensuring he was personally happy with every single shot included!